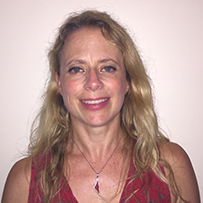 As an experienced paediatrician sub-specialising in Developmental and Behavioural Paediatrics, Dr Saltman is deeply passionate about the overall health and happiness of children and their families. She strongly believes in working collaboratively with the young person, their family, educators and allied health professionals to help better understand the young person, support their individual needs, and find their strengths and resilience so that they can reach their full potential. •	Mental health problems, including anxiety and depression. She has worked in paediatrics for many years both privately and in the public health system, in Sydney and regionally. From 2012 up until 31 May 2018 Dr Saltman has worked privately at the Sydney Developmental Clinic. She continues to work as a Staff Specialist Community Paediatrician in a Child and Family Health service, affiliated with a regional hospital. Dr Saltman is a member of the Neurodevelopmental and Behavioural Paediatric Society of Australasia and a Fellow of the Royal Australasian College of Physicians. She graduated from the University of New South Wales and has a Masters of Public Health. She has previously worked at the Sydney Children’s Hospital (Randwick), the Children’s Hospital at Westmead, and at the Hospital for Sick Children in Toronto, Canada.